An article in “An Irishman’s Diary” by Mark Phelan in THE IRISH TIMES on August 25 and a letter arising from it by one Richard Pine yesterday (August 29) are of sufficient interest for intelligent readers of this blog. 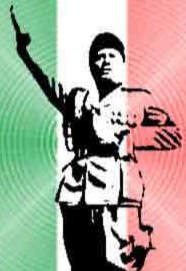 However, Britain encouraged pre-Fascist Italy to invade Libya, part of the Ottoman Empire, which it did in 1910, but was unable to swallow up until 1930, under Mussolini.Britain also encouraged Italy to annex territory from the Hapsburg Empire, but following the Great War double-crossed the Italians, keeping part of the coveted territory to create that other harbinger of stability, “Yugoslavia.” Italian anger over this was exploited by Mussolini, who seized power in 1922. By March 1916 the King of Greece was complaining that his neutral country had been invaded by British and French troops who had occupied “Salonica, Castellorizo, Corfu, Mitylene,Lemnos and Imnos, ‘without as much as a by your leave’ “. He further complained that he had tried to get a fair hearing in the French and British press. I wonder if he fared any better with newspapers in Dublin, Cork and Belfast? My source is “The Christian Brothers’ History Of The Great War” first published in monthly instalments in 1914-1918 and reprinted by Athol Books, Belfast. The history that dare not speak its name. A departure from the Authorised Version (s). Maith thú, a Domhnail.